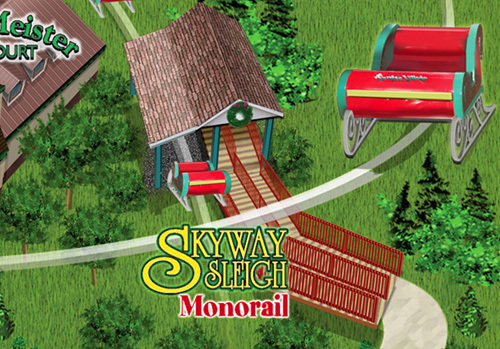 This sleigh monorail ride soars to over 30 feet above ground in spots! Smile for the camera too! Families love to all climb in. Children of all ages may ride with a responsible companion of at least age 18. MINIMUM HEIGHT 48″ TO RIDE ALONE.